When a transfer from a hospital to a skilled nursing facility is the next step, many questions arise about what Medicare may cover and what your options are. This article addresses those questions to help you navigate the process more easily and more informed. Knowing what to expect before your loved one is discharged from a hospital into a skilled nursing facility will save you a lot of headaches. If you’re new to this, a skilled nursing facility (also referred to as a “SNF”) is an independent facility (not a hospital) with a high level of medical care that is provided by trained individuals including registered nurses, physical, speech, and occupational therapists, and dietary counselors. SNFs are subject to Federal and State regulations. 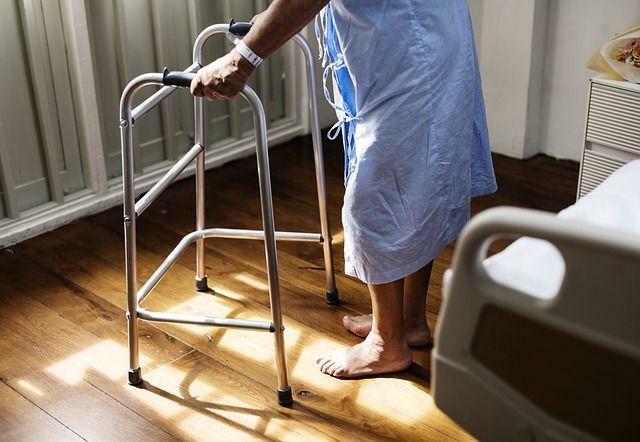 The care provided by the skilled nursing facility may be necessary over the short term for rehabilitation from an illness or injury or may be required over a longer period for patients who need care on a frequent or around-the-clock basis due to a chronic medical condition. Qualifying stay - To be eligible for Medicare coverage you must first have a qualifying hospital stay. This means you have been admitted to a hospital on doctor’s orders as an inpatient for at least three days. Qualifying Medical condition(s) – The skilled nursing services must be needed for those medical condition treated during your qualifying hospital stay or from a condition that arises while you are receiving care during your SNF stay. Adequate Medicare coverage – You must have Part A coverage and days left in your benefit period. A benefit period begins the day you are admitted as an inpatient (not just for observation) in a hospital or SNF. The benefit period ends when you have not received any inpatient hospital care or skilled care in a SNF for 60 consecutive days. How Many Day Does Medicare Pay? Days 101 and after: Patient is responsible for all costs. What if there is a break in Skilled Nursing care? The length of time and the circumstances surrounding a break in SNF care will affect the Medicare contribution for the readmission. If the break is short term (less than 30 days) and the patient needs care for the same condition(s) then readmission will, under most circumstances, be covered and resume where left off before the break. If the break in skilled care is more than 30 days a new 3-day hospital stay will be needed in order for Medicare to pay for that additional skilled care. Once the break is 60 days or greater then that benefit period has ended and coverage will be reset to the original 100 days for skilled nursing benefits of 20 days paid and 21-100 days co-paid. It’s easy to get lost in the details and miss something that may disqualify a stay in a SNF for payment by Medicare. The best way to maximize your Medicare coverage is make sure you understand your particular situation. Your hospital will likely have a case manager or discharge planner who can help you make the best decisions for you or your loved one. Upon discharge, you will need to make sure the hospital staff provides detailed orders to the skilled nursing facility for the services that are needed for your loved one’s health. Also, make sure there is a list of medication history and current medications that will be transferred to the SNF. Also, don't forget to use the Skilled Nursing Directory provided here at Senioridy in order to make your search experience quick and easy. For a further understanding of Medicare Coverage for a Skilled Nursing Facility Care take a look at the Department of Health & Human Services guide. This is not legal advice. You should consult with your caregivers for specifics regarding what you should expect from Medicare as you make the move to a skilled nursing facility.